But if the compilers were looking for a perfect example of its application, they may have found it in Super Graphic. 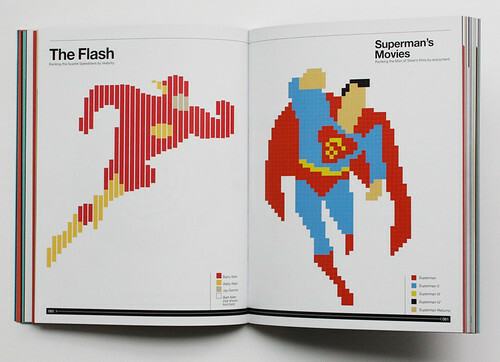 Infographics ranking the likeability of Flash (left) and the enjoyment factor of the ‘man of steel’ films (right). Tim Leong’s new book is a charming and witty exploration of the world of comic-book heroes. Over the course of almost 200 beautifully presented, full colour pages, Leong gives us pie charts, bar graphs, timelines, scatter plots, and more, showing everything from the punishing schedule of a Manga artist to the contents of Batman’s utility belt, and the relative height, weight and abilities of some old friends from comics and graphic novels. 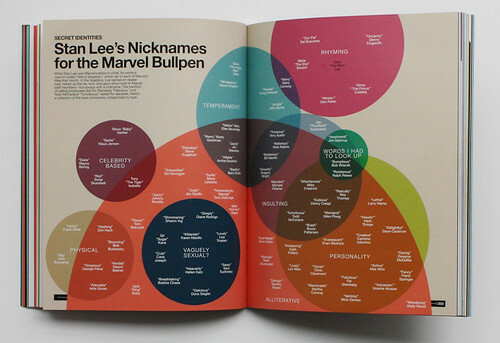 Stan Lee’s nicknames for his Marvel employees, categorised into different groupings. 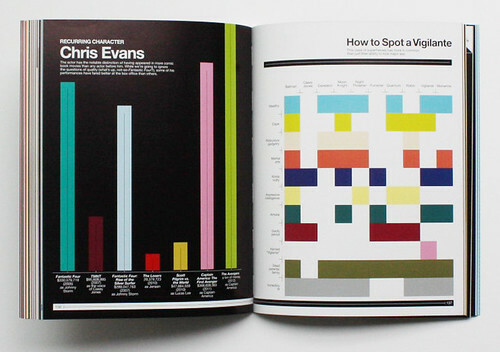 The Chris Evans graphic plots the box office takings of the films he has acted in, while the ‘How to Spot a Vigilante’ graphic looks at superheroes and their lifestyle similarities. 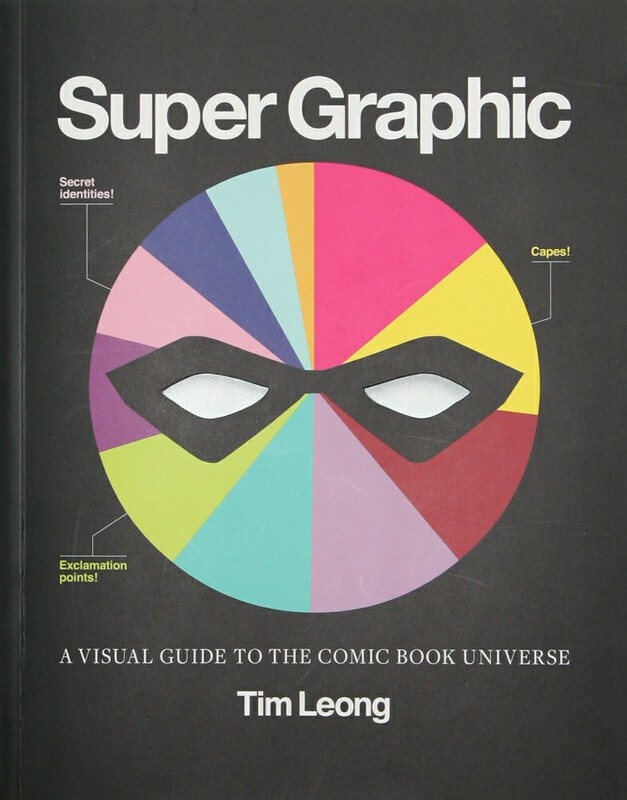 We also get a thoroughly appealing insight into Leong’s own fascination with comics – he was the founder and editor-in-chief of the short-lived but highly influential Comic Foundry magazine – and his apparent obsession with infographics. 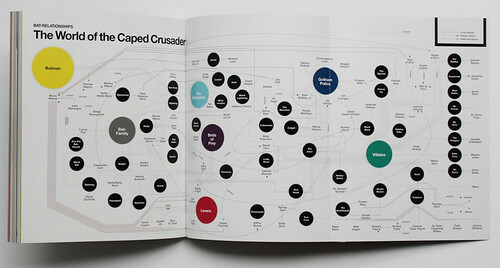 Even the index and the reviews on the back cover are represented graphically. He also seems to have a mild fixation on a character called Big Barda. 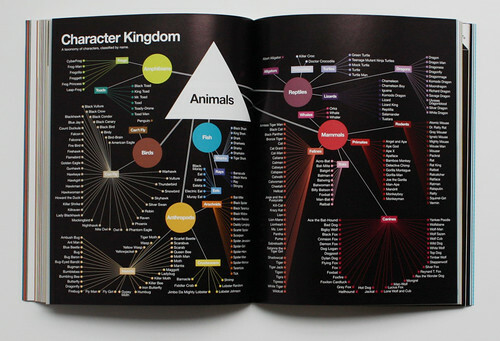 A taxonomy of characters, classified by name into their nearest animal kingdom relation. A gatefold showing Bruce Wayne’s love interests, family relations and kill record.